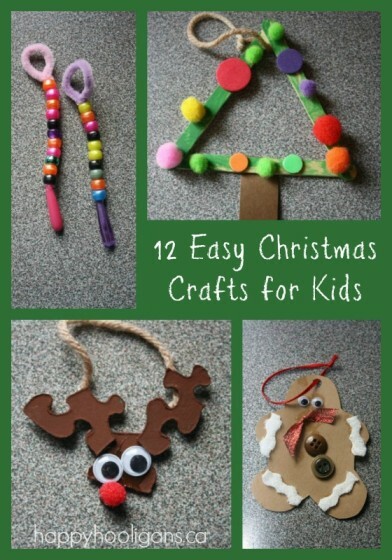 If you’re looking for easy, inexpensive, Christmas craft ideas for kids, you’ve come to the right place! You probably know how crazy we are about making Christmas crafts here in my daycare. The toddlers and preschoolers just love making making homemade Christmas ornaments and holiday decorations. And I love it when we make totally adorable crafts without spending much money. 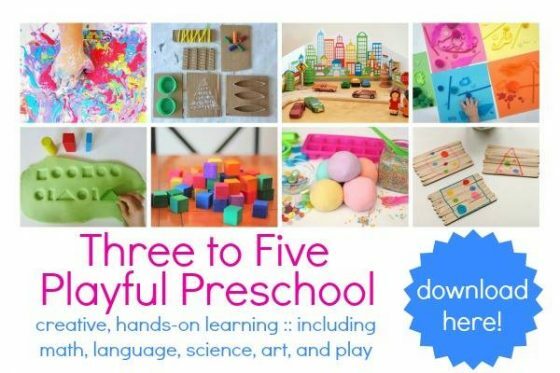 Therefore, we use basic craft supplies and materials, and items you already have around the house for crafting. This is especially important at the holidays because Christmas can be expensive enough already without spending money on the ornaments you’re making! I also like to keep things simple here when crafting with young children, so these projects are really easy for tots to do. All of these Christmas tree decorations were made by the toddlers and preschoolers in my daycare in recent years. 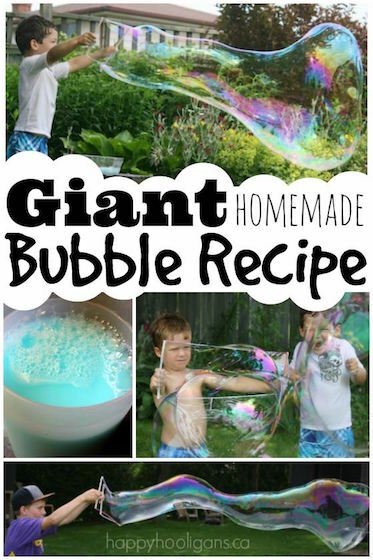 Because I hadn’t started blogging when we made these, I don’t have detailed how-to posts, but because our kids’ crafts are easy to make and require only basic materials, the photos and descriptions below should pretty much tell you everything you need to know. Enjoy! 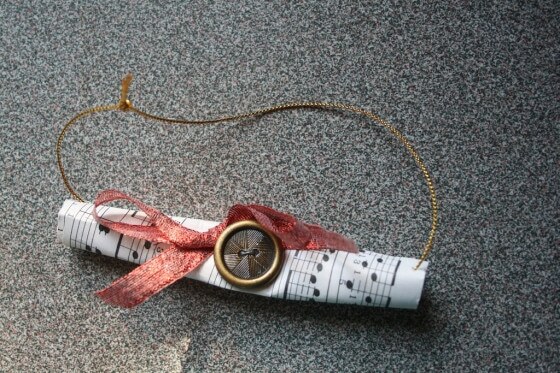 Homemade sheet music ornament: roll up a small piece of sheet music rolled up, and embellish with a a ribbon and a button. Easy tissue wreath ornaments: Cut a small “wreath” from some cardboard (cereal or food boxes are great for this kind of thing). 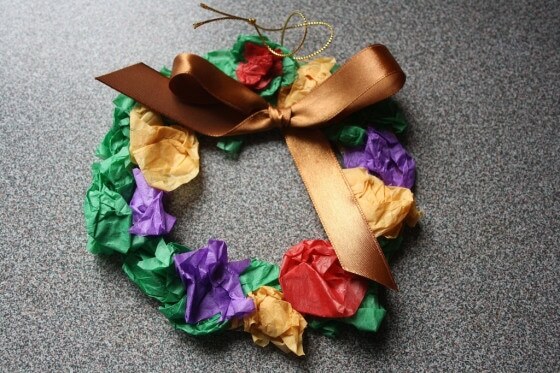 Cover it with crumpled tissue paper & attach a ribbon with some glue. Cardboard Christmas Tree decoration: Cut a Christmas tree out of some corrugated or sturdy cardboard. 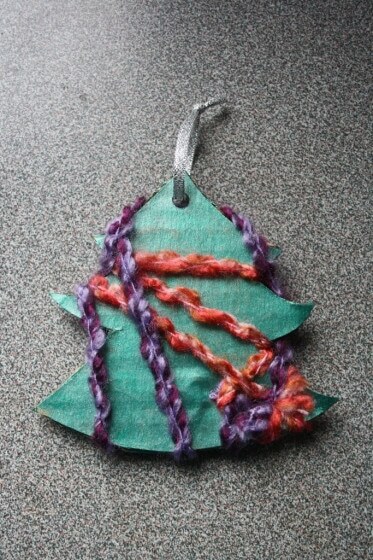 Paint it green and wrap with colourful wool. Pipe Cleaner Ornament: String beads onto pipe cleaners. Form a loop at the top of the pipe cleaner. Wreath of buttons – Cut a small cardboard wreath out of a cereal or food box. Paint it a festive colour, and glue buttons/pearls all around. 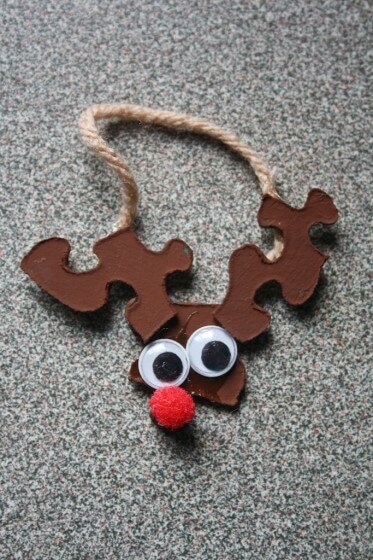 Reindeer puzzle piece ornament: Glue three puzzle pieces together (you may want to prep this ahead of time with a glue gun). Have children paint pieces brown. Attach googly eyes and a red pompom nose. 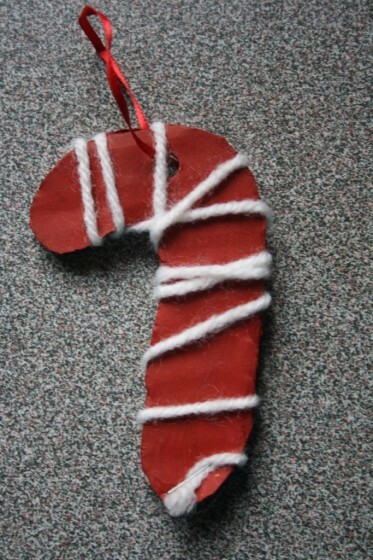 Homemade Candy Cane Ornament: Paint a cardboard candycane and wrap with white wool. 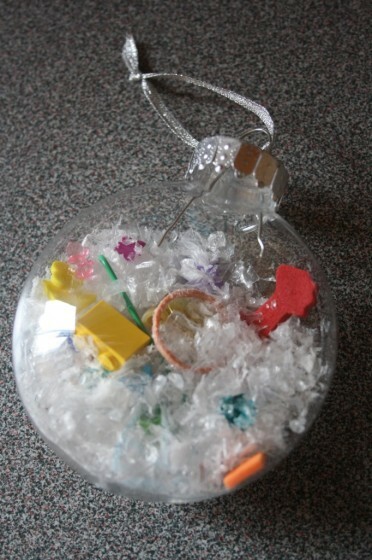 I Spy Christmas Ornament: Remove top from plastic ornament and fill with fake snow and a variety of tiny items (Lego, paperclip, foam shapes etc). Attach a list of things to look for if you’re giving this as a gift. Popsicle Tree Christmas Tree: Glue popsicle sticks to form a triangle, and paint green. 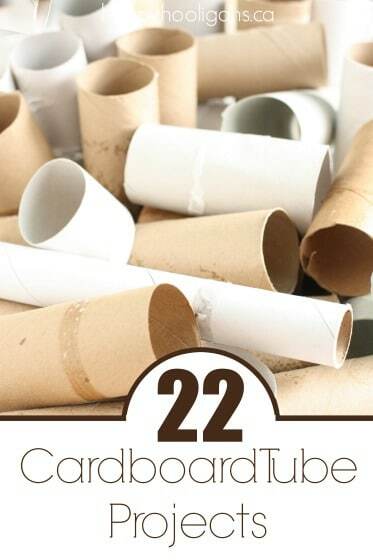 Attach a piece of cardboard or card-stock as a trunk. 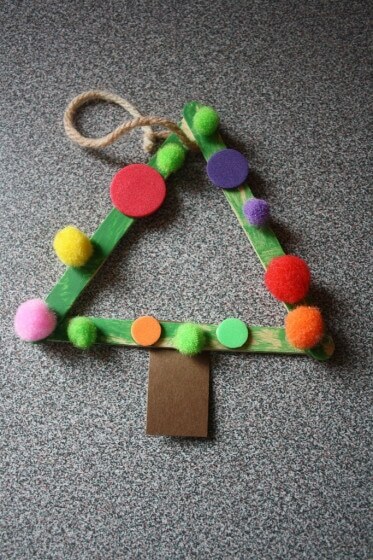 Decorate tree with pompoms and foam shapes. 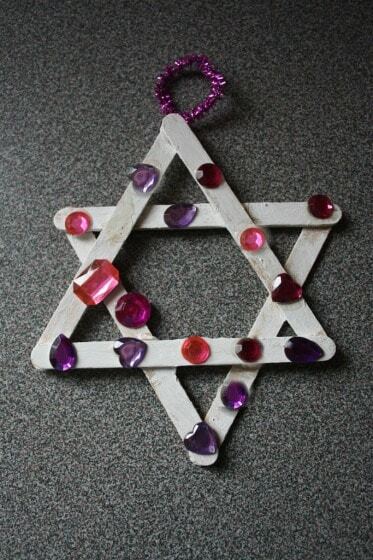 Star Christmas Ornament: Form two triangle with popsicle sticks and glue together. Have children paint sticks white and attach coloured gems with glue. So pretty! 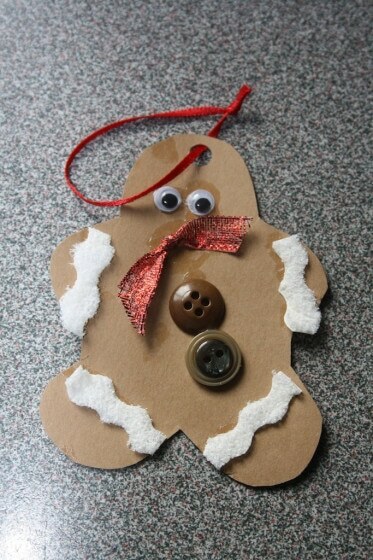 Gingerbread ornament: Cardboard, rick-rack, buttons, googly eyes and a ribbon. So cute! 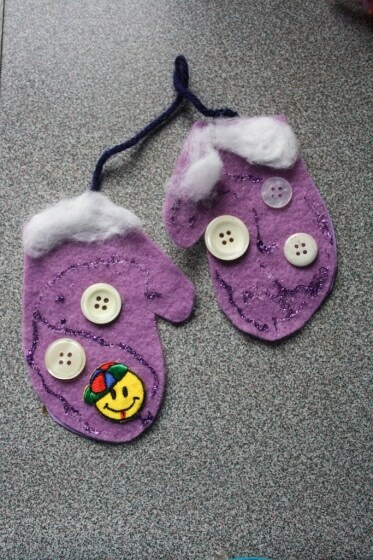 Mitten Christmas Ornaments: Cut small mitts from felt. Use cotton balls for cuffs, and decorate with buttons. String together with a piece of wool. These are all such cute ideas! 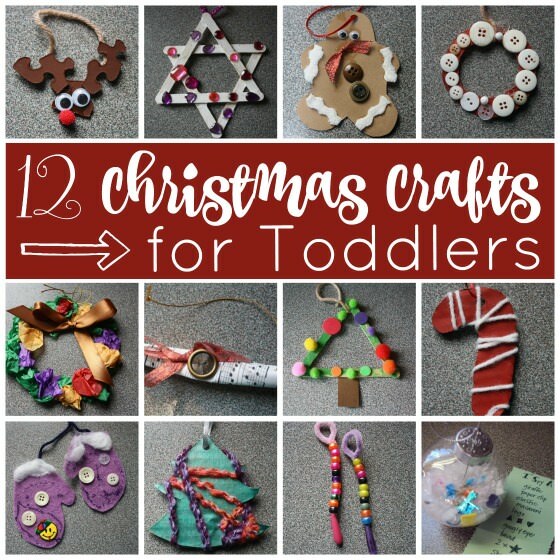 I can’t wait to get started creating handmade gifts with my little ones this holiday season. Me too! Christmas is my favourite time of year for crafting! It’s never too early for Christmas! I love the simplicity of the ornaments- so cute! Love the popsicle stick Christmas tree, just found it on Pinterest! Wonderful ornament ideas!!!! I will share these! These are all really cute and easy ideas! Love them. I will definitely try a couple out this year. I have everything we need for those christmas trees already. Thanks! Saw your popsicle stick tree floating around Pinterest – I’ve been just waiting for Christmas break so the kids would be free to make them. I ? how they turned out – thanks for the idea! Will have to try that candy cane, too! Merry Christmas! 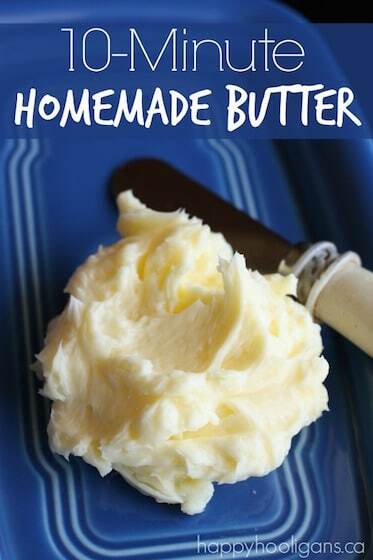 Gotta LOVE that Pinterest!! Thanks for dropping me a line! So nice to hear that you’re using our ideas!! absolutely fantastic – they are so original! You should, if you haven’t already, get a book out. 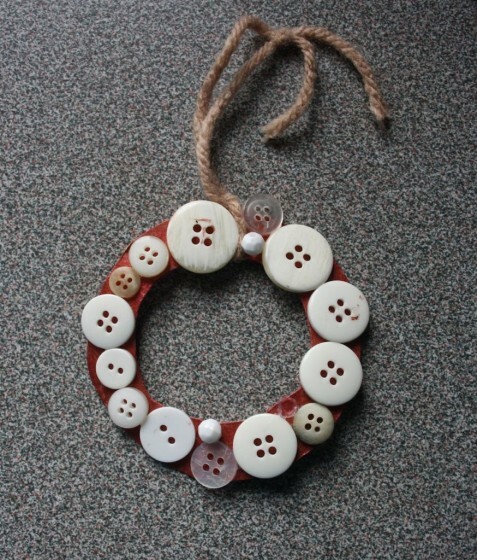 Favourites are the button wreaths and Christmas trees… can’t wait! Ha! So funny, Caroline! Just this weekend I was talking to my friends about a book being one of the things I’d really like to do! 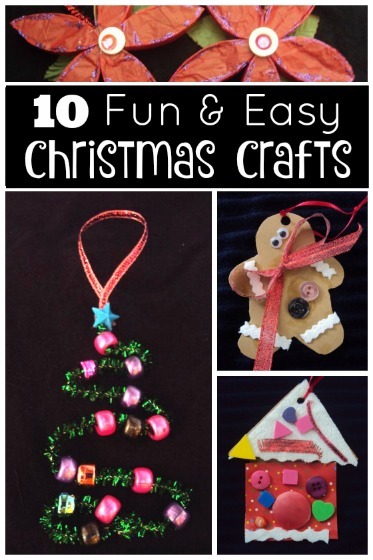 What fantastic ideas – love crafting with kids at Christmas. Just to let you know you’ve been added to the Christmas collection. 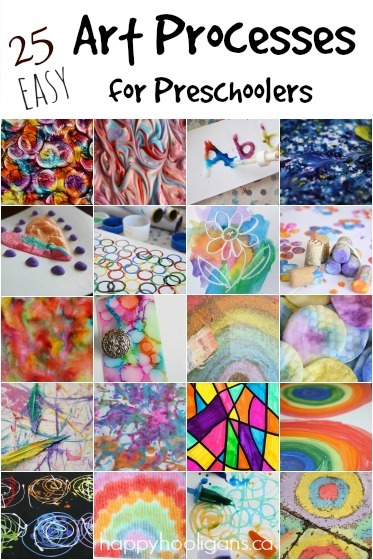 I love that your crafts have that look that says – made by kids! I’m always looking for craft ideas that are simple enough for toddlers to make, and still end up looking nice! Thanks, Katie! Those are the best kind!! A little bit wonky, but a whole lot of cute! The I-spy ornaments would make great kid-gifts. I love that one for kids to give one another. Many ornaments the kids would love to make, but I find myself wondering which would they like to *get* when considering what to have my kindergartner make for her peers. Awesome, Karen! You’ve been so busy! I love it!! I was getting increasingly nervous as I had promised to do the craft stall at my youngest daughter’s primary and had no exciting ideas. The Christmas tree from sticks for the younger ones or for the older kids a star made out of broken, (narrower) pieces decorated in white or gold with glitter seems a super idea. Thank you soo much! I am feeling really enthusiastic now. Yay! Hooligans to the rescue! 🙂 So happy we were able to help, Barbara! do the gingerbread men out of sandpaper then rub with a cinnamon stick to make them smell great! Thanks for the shout out! 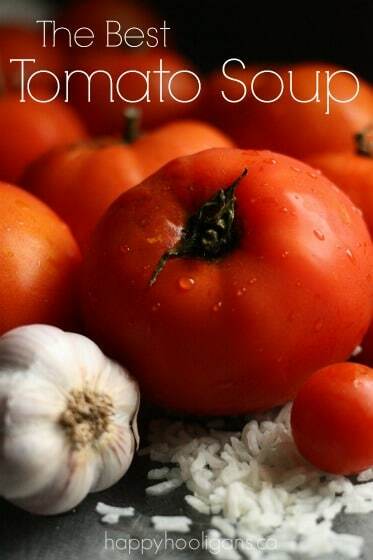 You’ve gathered up some great ideas! Love the scrap-paper tree and the money tree!